St Joseph's Catholic Primary School is a Christ-centred community, within the Bunbury Parish, which aspires to educate and develop the whole child in a caring Catholic environment, recognising and respecting the uniqueness, dignity and rights of others. Although Catholic Schools receive both Commonwealth and State funding, fees constitute a necessary and substantial part of the school’s income. Without school fees and other non-financial support from parents, Catholic Schools would not be able to operate. 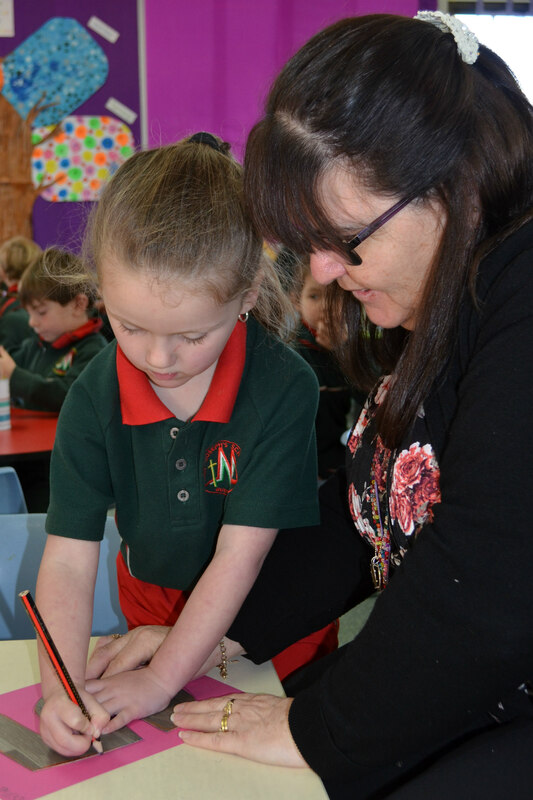 St Joseph’s Catholic Primary is committed to providing excellence in Catholic education for students from a variety of backgrounds. St Joseph’s endeavours to set fees at a level that encourages parents to enrol their children without having to suffer undue financial hardship. Should families experience any difficulty with the payment of fees, they need to make an appointment with the Principal to discuss the matter in confidence. Parents should to be aware that their individual situation will be treated with respect. If the school is not contacted regarding a problem with the payment of fees, then a fee retrieval process needs to be implemented. The pursuing of outstanding fees is a time consuming task, therefore your prompt payment of fees is greatly appreciated. A non-refundable administration fee of $20.00 is payable with every student enrolment application to the School. An enrolment fee of $200.00 is payable upon the acceptance of a new student to the School. This fee will be credited to the family school fee account when the student commences at the School. Current holders of the following cards may be eligible for a reduction of the tuition fees on presentation of a valid card. Applications for the CECWA assistance are available from the School. Please contact the Bursar to arrange an appointment to complete the application. The School invoices all fees as an annual charge in February. The account will itemise all applicable charges for the full school year, thus enabling parents to budget for the year. The School’s fee structure and controlled budget relies on payment of school fees promptly. With this in mind we have available a number of payment options and methods. This fee covers many of the incidental costs that arise during the school year. It will cover some of the costs associated with printing, special art and craft lessons and other similar activities. It is not set to increase the amount of school fees collected but to cover costs that would usually need to be collected during a normal school year. Each family is charged a P&F Levy to assist the Parents and Friends Association in carrying out the many activities they take on during the year that enhances the education and facilities for every student attending St Joseph’s. Each family is required to pay a levy towards the debt servicing of the school’s capital works. This covers a small proportion of the total debt servicing of the school. This levy is not tax deductible. This levy is used to increase and upgrade our provision of IT for the students’ education. IT is a resource that needs constant upgrading and the associated costs are supplemented from the school’s budget. The understanding and use of IT is embedded across the curriculum and is an essential learning tool for all students. St Joseph’s has a Student Accident Insurance Policy covering all students, 24 hours per day/365 days per year, for lump sum benefits for Non Medicare claimable items. It is strongly recommended that parents check their general insurance policies to ensure adequate property and liability insurance cover for their children. St Joseph’s does not accept responsibility for any claim to property loss or damage incurred by students or parents. Students from Pre-Primary to Year Six attend interm swimming lessons each year. The costs for pool entrance and transport are charged for each student. Swimming tuition is free. This camp is held every year at the Ern Haliday Recreation Camp in Sorrento. A camp fee is included with the annual school fee account. (effective from January 1 2018) The following fees and charges are the annual fees that you will be expected to pay for your child’s education at St Josephs’ Catholic Primary in 2018. Sibling discounts will apply to Tuition Fees where there is more than one child per family at the School at the same time. **No discounts are available on the extra half day portion of the 3 day Kindergarten charge. St Joseph’s do not receive any Government assistance for this provision of the extra half day. This is a user pays service only. To enable you to include your fees payments into your regular household budget, we can arrange for you to pay off your school fees by weekly, fortnightly or monthly periodic payments, either directly to the School or through your bank or the Catholic Development Fund. If you have any query regarding any of the payment methods available or would like to make arrangements to pay your school fees account by periodical payments, please contact the Bursar.